So, after mentioning on Facebook that I was headed off to Ikea in a one tonne van, someone – who shall remain nameless (Brooke!!!!) – casually commented that that’s a lot of meatballs. And it is. A whole heap of meatballs. A literal metric tonne of meatballs. 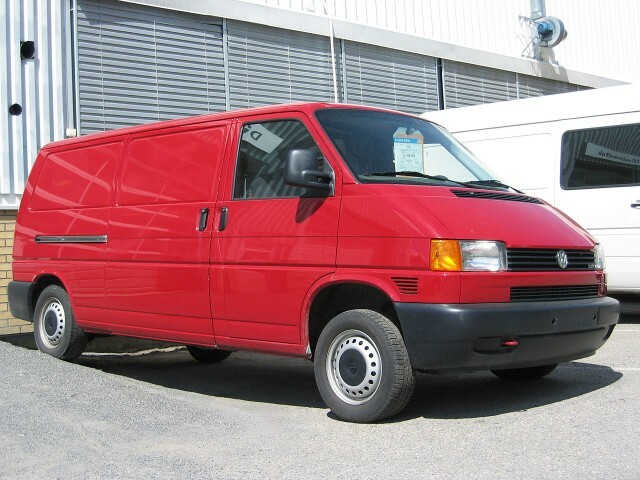 But my interest was now piqued: how many Köttbullar would fit in the Volkswagen Transporter T4? This is not the actual van in question. The real one is identical in shape and colour, though. Fairly quickly, I was able to come up with a fairly simplistic answer: 70,588 Köttbullar in a Volkswagen T4 LWB. When I say simplistic, I mean really rough. All I did was poke around on the internets for the weight of one Kötbullar and see how many of those will fit in one tonne. And I found this page on myfitnesspal.com which let me know that, amongst other things, 6 meatballs weighs 85 g. From that, one meatball weighs 14.16667 g and there’s 1,000,000 g in a tonne. So it follows that there are 70,588 Köttbullar in a tonne. Easy! But would all those Köttbullar fit in the T4? And does that tonne included me, the driver? This leads to more questions. And questions demand answers. First up, we need some dimensions and payload capacities for the van. With a bit of Googling, I find this page on vwbooks.co.uk which gives me everything I need – for the UK model. A check on a link a bit further down gives me the NRMA road test report, and the figures match. We have our capacity for the van. Let’s start with the weight. Looking down the sheet we can find the all important figure we need – Payload with automatic gearbox: 1,110 kg. From this we have to take me and my stuff (let’s be hopeful that me and all my stuff equals 100 kg). This gives us 1,010 kg to work with. Just enough with some headroom for a little bit of Lingonsylt to go with the Köttbullar. Now for the tricky bit – does the Kötbullar have enough density to fit inside the van? First, let’s start with the van dimensions. From the PDF before, I’ve got a whole heap of internal dimensions. One of these is the body cubic capacity: 6.3 m³. We’ve got a problem though – this doesn’t specify if it’s the entire van including the driver’s area or just the load area. Luckily it also specifies some internal dimensions: the load length: 2.885 m, the internal height: 1.415 m, and the maximum internal width: 1.620 m. Bit of basic maths gives us a volume of 6.613 m³, or a bit over the stated figure. By the time we take out the wheel arches and the fact that the side walls taper towards the top, 6.3 m³ is indeed the load volume. This is 6,300 litres. According to this recipe on ifood.tv, Köttbullar are traditionally about an inch in diameter. We’re metric here, so 2.5 cm is the way to go. A bit more maths gives us a Köttbullar volume of 8.18 cm³ (or, to keep it in litres, 0.00818 l). This would let us fit in 770,171 Köttbullar – if we ignore the fact that they’re spheres and we’re going to lose some useful payload volume in the space between the Köttbullar. The thing is, the volume of smooshed together Köttbullar we can fit in is close to 10 times the amount of Köttbullar we can fit in by weight. According to Wikipedia, the density for close packing spheres is 0.74048, or 570,296 Köttbullar. Still way more than payload weight. So, yes, I can fit a tonne of Köttbullar in the van; but no, there’s not really enough room for the condiments. If you’re coming over for dinner, you now know what you need to match the wine to. Bonus question: how many calories is in a tonne of Köttbullar? Well, back to this page, and we can enter in 11,765 servings of 6 meatballs. This gives a calorie count of 2,235,350 calories. An average calorie diet (same page) is 2,000 calories per day. I think a tonne of meatballs would keep you going for a while, if the 153 kg of fat doesn’t kill you first.